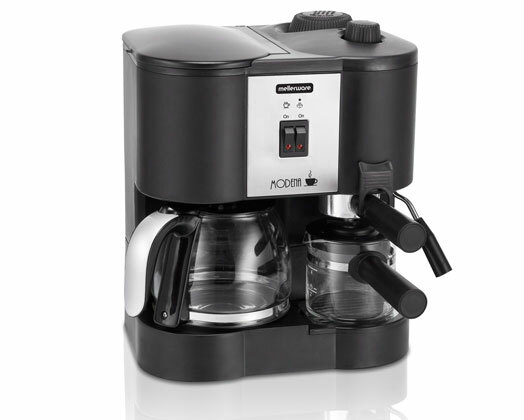 Home Products Coffee Machine 3 IN 1 1700W "Modena"
Your mornings are transformed with the Modena 3 in 1 Coffee maker. Have your pick between a delicious cup of filter coffee, a frothy cappuccino or add a kick in your step with an espresso. With 12 cup capacity, milk frother and brew strength control this powerful all-rounder is a must have for any coffee lover. Filter coffee, cappucino and espresso.